CEP always has great ideas and all of their products are quality made. Since we've been using their products at our shows, sales calls have increased and interest in our company has gone WAY up. Love how this product allows us to promote our business along with being eco-friendly at the same time for an affordable price. Thanks Custom Earth Promos. A lot of cool options to choose from. Love the variety. The product came out just the way I'd hoped for it to. I like that the seeds embedded in the paper is plentiful and of a high quality. Our tradeshows have been so much more productive now that we use custom earth promos. They always have great ideas and all of there products are quality made. Since we have been using there products at our shows sales calls have increased and interest in our company has gone up. Thanks CEP!!! These seed paper packs are great for so many different things. They allow us to be more eco-friendly and that is a main goal of our company! A lot of cool options to choose from. I ordered the seed paper packs in bulk and received a remarkable discount. I use the seed paper pack to label all my merchandise, using a eco-friendly twist. 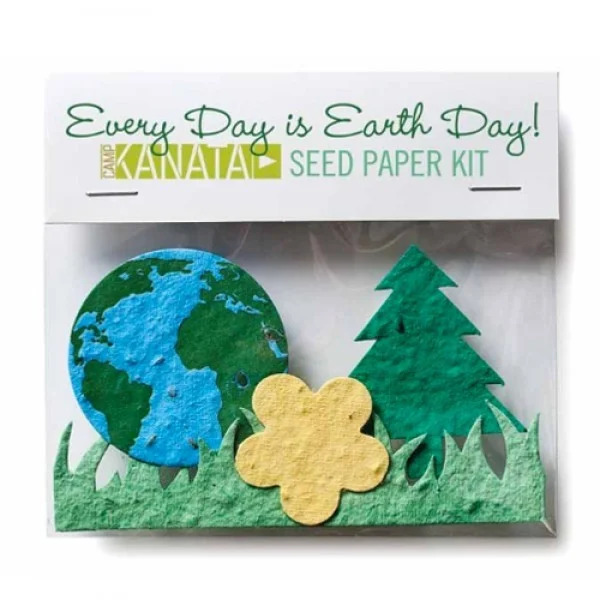 Every seed paper shape can be planted, so the entire item is eco-friendly. I can support that! I made gift bags for all our clientele and employees. I put these seed paper packs in each back to remind everyone of us, and to stay earth-friendly. I gave all the kids at our summer camp these seed paper packs. It was a nice way to help them come together and be Eco-friendly. I own a small stationary store, and the seed paper packs have been a great addition. 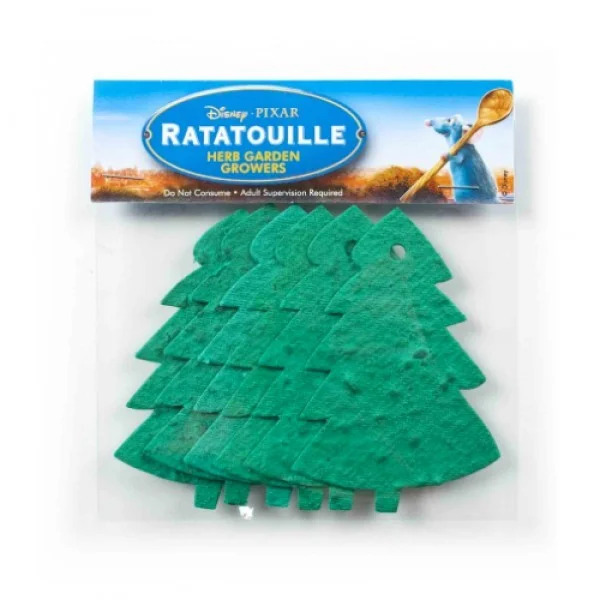 I'm to implement as much eco-friendly merchandise as possible, and these are great in holding true to that theme. I wide variety of seeds for this paper. I like that there are so many options. Great color options for the seed paper packs. I use the seed paper shapes for a wide variety of things. Anyone that receives them really appreciates the concept. With so many positive attributes, customization options, and a budget-friendly value, Multi-Shape Seed Paper Packs from Custom Earth Promos make a stellar branding tool sidekick for building your eco-friendly brand. Custom Earth Promos provides you with every option possible to make the seed paper packs your very own. Our team proudly provides a wide array of color, graphic imprint, and printing techniques, using only 100% natural, vegetable-based pigments. Work side by side with one of our in-house design experts to build an exclusive design blueprint that matches your brand aesthetic and optimizes your eco-conscious exposure. Customize your 6 seed paper shapes, choosing from over 100 available options. We'll decide which custom colors to use for your 6 chosen shapes and build a custom graphic for the 5" W x 1.5" H recycled cardstock and biodegradable cellophane bag header. Use the available imprint area of the recycled cardstock to include your brand name, logo, campaign message or a "thank you for attending" when used as a party favor for guests. You can also use this opportunity to focus on sustainability, waste reduction and "growing green." Publicize a sustainable production method, line of "green" products or eco-friendly initiative that your business has employed on the recycled cardstock. Engage your audience and increase brand loyalty among your target demographic by using this as a smooth segue for inviting your seed paper pack receivers to "join you" in the fight to preserve our planet. When customers, employees, prospects, connections or guests plant their moistened seed paper under a thin layer of soil, your environmentally ethical gift is guaranteed to sprout into vibrant wildflowers in just 1-3 weeks. With over 100 shapes to choose from, businesses serving virtually every sector are able to create a seed paper pack that matches their specific brand, industry, and current campaign. By joining you in the selfless act of bringing benefit to the surrounding ecosystem simply by planting their seed paper shapes, customers will connect to your brand on an emotional level. Your eco-friendly seed paper pack promotion and communicated investments in environmental sustainability will foster eco-conscious appreciation, increased brand trust, customer loyalty, word-of-mouth advertising and brand exposure. 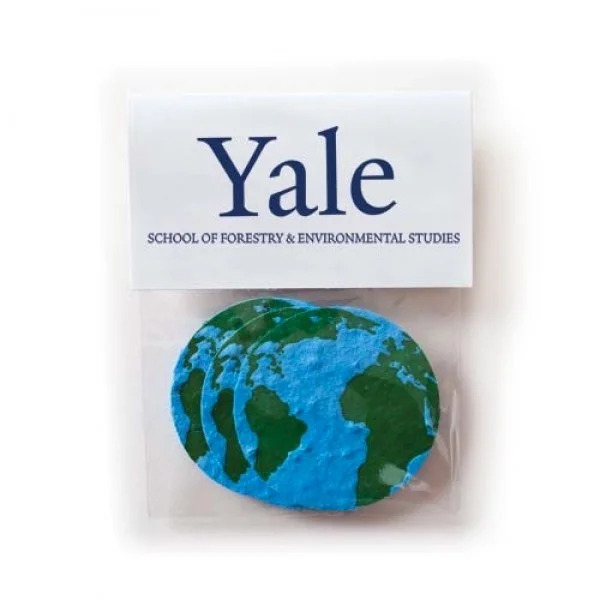 Establish your brand's admirable core of social and environmental responsibility with sustainable product promotions like our Multi-Shape Seed Paper Packs. Use seed paper packs as advertising mail-outs, networking tools at corporate events, incentive gifts, party favors for event attendees and a plethora of other advertising methods. Engage your target demographic with a sustainable product that will help to build the eco-friendly association of your brand name. Customizable seed paper packs from Custom Earth Promos help to promote campaigns of healthcare, hospitality, construction, education and so much more. The creative packs would also be a great product addition for eco-conscious brands, flower shops and specialty retailers. Consumers and investors alike are demanding more "green" practices and sustainability than ever before, willing to pay a premium for established eco-friendly brands. Businesses must respond to this spiking demand with multiple campaigns of eco-friendly initiatives to secure long-term profitability and increased market share. Establish yourself as an eco-friendly industry leader with a custom design of Multi-Shape Seed Paper Packs. Perfect for small, medium and large businesses alike, Multi-Shape Seed Paper Packs from Custom Earth Promos are an intelligent and affordable choice for promoting an eco-friendly foundation. Made entirely of recycled, recyclable and biodegradable materials, seed paper packs will speak to the eco-responsibility of your brand. You will work directly with a member of our in-house expert design team to build an exclusive design blueprint from the ground up, capturing the aesthetics of your brand and optimizing the exposure of your campaign with each detail. We will work with you to decide on the 6 best seed paper shapes, choosing from over 100 options of animals, alternative energy, flowers, gardening, hearts, geometric shapes and more. Then, we'll build the custom graphic imprint for your recycled cardstock header. Customize your seed paper shapes in over 20 available colors, derived from all-natural, soy-based pigments. We offer letterpress printing to create a stamped image of your logo or custom graphic, creating an embossed texture that complements the rich seed paper. Your design expert will discuss the design goals, time restraints, the quantity of your order and more to determine the optimal printing method for your order. The 6 seed paper shapes of your packs are infused with our top performing blend of Corn Poppy, English Daisy, Black-Eyed Susan, Five Spot, Catchfly and several other vibrant wildflowers. This blend is guaranteed to grow in any US Climate Zone when provided adequate water and care. We have seasonal and specialty seed mixes available throughout the year and even give you the option to customize the mix for your order to include seeds that will produce a specific color of flowers! Just ask your design expert about the custom seed mixes available for your order.